For the beginner boatie, the boat ramp can be a bit of a daunting place. Getting your boat ready to hit the water is a bit of a process and there are a few things you need to remember. But you should never be nervous – launching a boat is very straightforward and after a few goes, you’ll feel like a pro! To help you get comfortable with the idea of launching your boat, we have listed a few of our most useful tips on how to launch your boat. For us, the boat launching process starts with trailer selection. 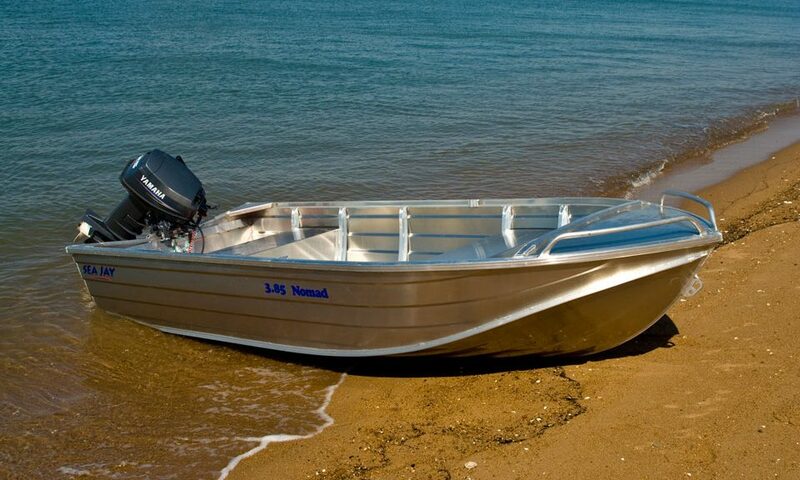 Having the best transport systems for your boat will make launching it so much easier. For example, if you have a good trailer then getting to the ramp will be stress-free and getting your boat on and off will be a simple exercise. If you prefer getting off the beaten track a bit, then choosing a boat loader will make things incredibly easy. Firstly, you won’t have to worry about your trailer on the rough track in. And secondly, your range of possible launching sites will be far better. Making the right choice now will pay off well into the future! So you’ve made it to the ramp with your new rig – where to now? First, you’ll have to hit the rigging lane. Most ramps have a rigging lane, where you can spend five minutes out of the way preparing your boat. Different boats will need to be prepared differently, but most follow a basic process. This includes unstrapping your boat from the trailer and taking off the engine mount if you have one. You should also tilt your engine up, and fasten the bungs. The bungs are the plugs at the rear of your boat; without them, your boat will sink – so check them twice! This is also a good time to organise things like rods, bimini covers, and GPS or sounding equipment. Once that’s done, you’re ready to hit the water. Always keep your safety chain on while you launch! If you have looked up how to launch your boat, chances are safety is important to you. And when it comes to safety on the ramp, we have one tip: keep the safety chain on until your trailer is in the water. Quite often, enthusiastic boaties attempt a launching manoeuvre that involves undoing the safety chain at the top of the ramp and allowing the boat to slide straight into the water when they reach the bottom. Needless to say, this is dangerous and often ends in a badly damaged boat sitting halfway up the concrete ramp. Our advice on how to launch your boat: keep the chain on until the boat is in the water. For most boaties, reversing down the ramp is the tricky part. But with one simple trick, it can be a whole lot easier. When you reverse, it’s often hard to see. That means you’ll be relying on your side mirrors. To keep the trailer straight, simply look in both mirrors and when you see more of the trailer in one mirror, turn your wheel in that direction, until the boat is evenly visible again. Finally, how deep is too deep? When you’re reversing your trailer, it’s normally sufficient if the trailer’s wheels are mostly submerged. Of course, this is different for different trailers, so you’ll have to make a judgement call. The main thing to remember is that no trailer will require you to submerge your car at all. That would only ever be necessary on rudimentary off-road ramps, which are only recommended for experienced boaties. For more expert tips, as well as a great range of trailers and loaders, contact Almac Trailers.